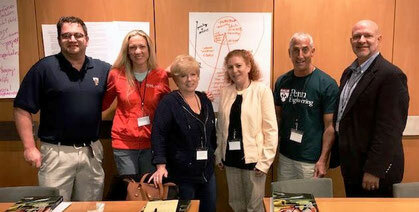 The Palm Beach Fellowship of Christians & Jews has been providing full scholarships to outstanding teachers in Palm Beach County to attend the Facing History and Ourselves summer workshop, “Holocaust and Human Behavior,” in Brookline, Massachusetts. The information, training, and inspiration that the teachers bring back from this week-long program to their classrooms, schools, and community are invaluable to them personally and professionally, and dovetail beautifully with the mission of the Fellowship. Special thanks to the Palm Beach Country Club Foundation for a grant that enabled the Fellowship to send two additional teachers to Facing History in July 2017. 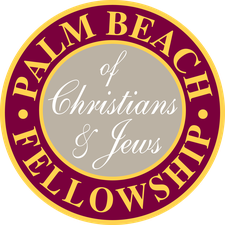 The Palm Beach Fellowship of Christians & Jews is dedicated to promoting fellowship, understanding, and respect among all religions and cultures; bringing the community together through education, dialogue, and interaction; and addressing issues rooted in intolerance, anti-Semitism, and unjust discrimination. (c) 2017 Palm Beach Fellowship of Christians & Jews, Inc.